Joke Nail Through Finger Trick is a great way to trick your friends. 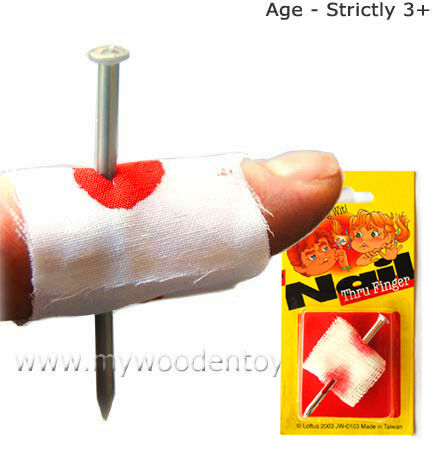 This simple little joke slips over your finger making it look like the nail goes right through your finger. This is a wonderfully realistic practical joke and a great way to scare mum. Age: Strictly 3 + Small Parts. We like this because: "One of my favorites when I was little. "